Malawi Prison Service (MPS) authorities in the Northern Region have warned communities against aiding prisoners from escaping. 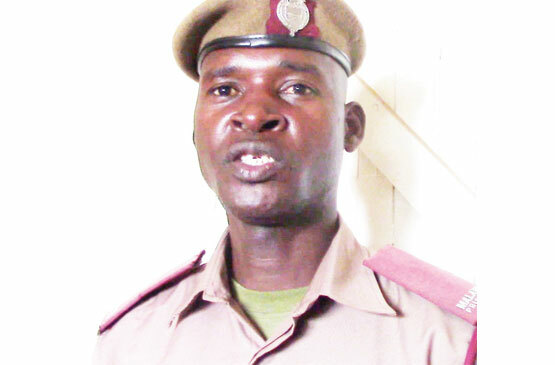 Northern Region Prison Public Relations Officer, Austin Masangwale, issued the warning after 27-year-old prisoner George Mwatwawana, escaped from Mzuzu Prison over the weekend. It transpired that the prisoner, who was re-arrested at Katoto Township in Mzuzu City, hid behind a fence of a house. Masangwale said some unpatriotic Malawians feel that inmates are tortured; hence, they should be helped out of prisons. “The inmate who escaped over the weekend was with fellow inmates at a garden where we do irrigation farming. He thought that our officers were not alert and he started running towards Katoto residences and hid in one of the fences. We apprehended him with the support of police and some members of the community who understand our role. “We always face challenges when it comes to re-arresting a prisoner who has escaped. Some people provide them clothes so as to make it difficult for us to identify the prisoners. Some keep them in houses, while others, especially bicycle taxi operators, carry them to a hiding place. We are saying that this is criminal,” Masangwale said. Masangwale said Mwatwawana, who hails from Mwangasi Village, Traditional Authority Kilupula in Karonga District, told prison authorities that he escaped because his relations were not visiting him. He said Mwatwawana, who has served eight of his 30-month sentence for house breaking and theft, wants to be relocated to Karonga Prison which is closer to his home. Masangwale will answer more charges for the escape. Last year, Mzuzu Prison indicated that 14 inmates escaped from the facility in the last four years but only six were recaptured, representing a 42 percent success rate.